I have always admired cacti. They are fierce about their survival, facing the world with a prickly exterior that belies the soft, succulent inside. 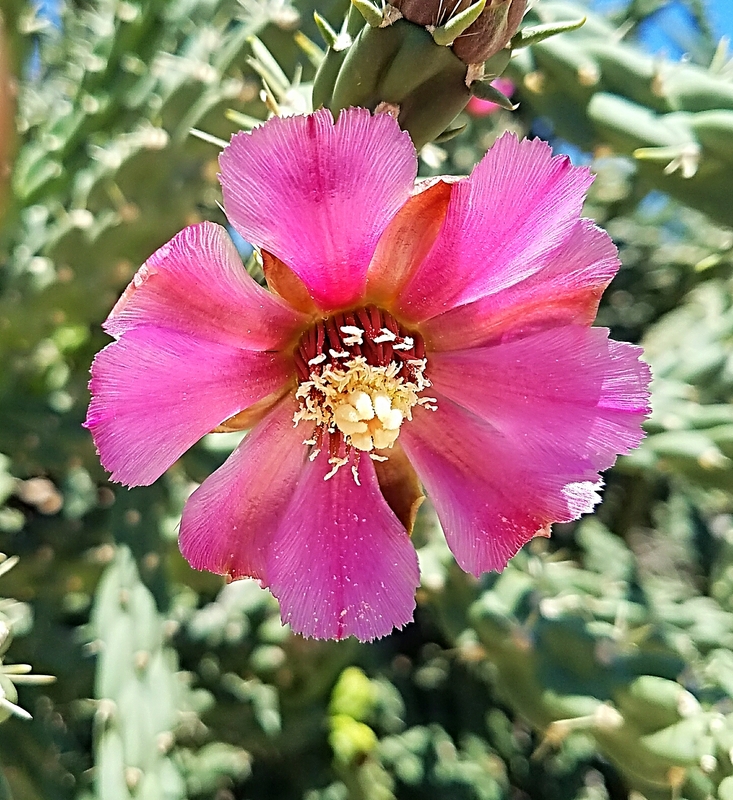 Some cacti have names that tell you they mean business, like the needle cactus, or prickly pear cactus, or the dreaded and unfortunately not very rare "You Will Never, Ever Get All Of These Spines Out Of Your Skin For As Long As You Live" cactus. I love cacti for their very prickliness, their refusal to yield, even an inch, without defending their turf. (My husband says that I am stubborn like that, too.) They may also seem lazy, at first glance. In some ways cacti aren't very interesting, just standing there. Plain old green plant life, they say, nothing to see here, move along now. They blend right in with the grass and huisache trees along the side of a road. A person might pass a cactus by every single day for weeks, and never notice. Then every cacti dons their finest colors, fancy blooms bursting out of nowhere into the sky. 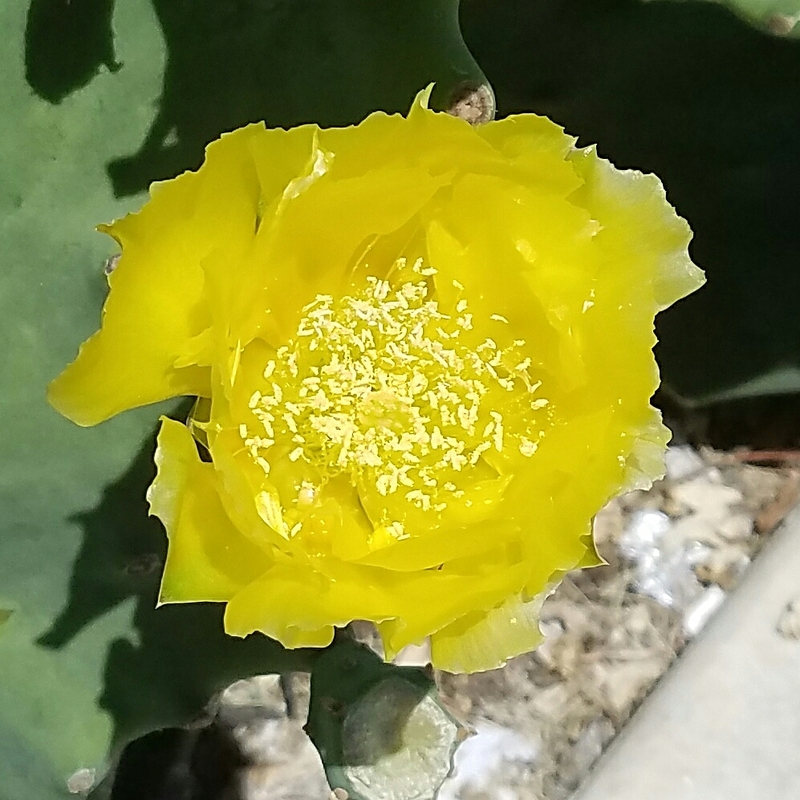 All of a cacti's energy suddenly flows into creating the most stunning and eye catching blossoms. It's as if the 'ugly' plant suddenly wins a makeover. Here we are! Come and see! Everyone notices the cacti then. How could you not? But if you blink, the blooms that were so brilliant in the sun are gone by sunset. Then it is back into survival mode, hiding their colors away until the next thunderstorm. I love that. It's like finding hidden treasure while driving to work. It puts me in a good mood, every time. If I can, I stop for a quick photo opp, and save those ethereal blooms for times when I need a little sunshine in my life. And I'm sharing them with my readers, just in case one of you needs a little pick me up. We have a few native cactus species in this wet climate. They grow where the soil is too sandy to hold water. This gives me a better appreciation of the plant. Thanks for sharing. I ADORE this post. Love all your ideas.Thanks for sharing. This WILL be done in my future home on the first Christmas I live there! I had no idea that cacti got showy after the rain. (I am sure you can figure out why my knowledge might be limited) ;) Beautiful!